"Beyond Time's End:" These two stark, gnarly trees standing side by side among the boulders of the Granite Dells have always caught my eye. 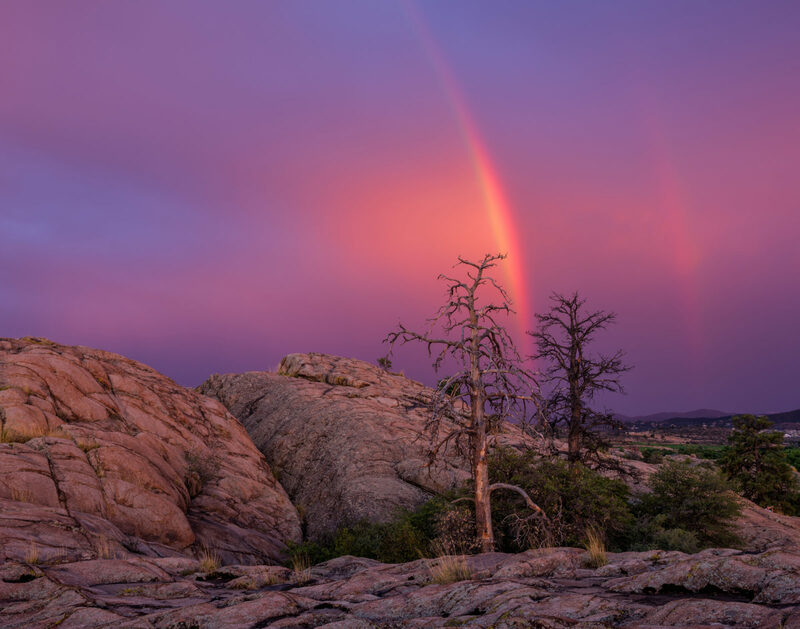 As I was attempting to photograph the sunset, facing West into the sun, I became aware that behind me, a rainbow and a faint double rainbow were appearing. I quickly scrambled to reposition myself and my camera to capture them and saw that the brightest of the pair looked as if it were ascending directly from in between the two barren trees. Seeing this somehow resonated with me and I was struck with the concept of how something both as fleeting and ethereal as a rainbow could transcend time.